If you've decided you want to finance your new motorcycle, you're not alone. Seventy percent of motorcyclists finance their bikes. With a minimum down payment and approved credit, you can arrange Harley-Davidson® Credit financing with us and get out on the road a few hours after picking out your bike. Plus, you can add in all your parts and accessories, MotorClothes® apparel, the Harley-Davidson® Extended Service Plan, Cycle Insurance and more. You'll have everything you need, and you only have to make one monthly payment. And because we finance more Harley-Davidson® motorcycles than anyone else, we understand your special needs. Only someone who knows how you feel when you hit the starter button understands that hitting the road ASAP is your biggest concern. That's why we make it easy. Talk to Destination Harley-Davidson® about financing your bike with Harley-Davidson® Credit, and get out on the road today. To download a Harley-Davidson® Credit Application, click here. Print it, fill it out, and bring it in. Adobe® Acrobat® Reader Required; to download click here. 1. 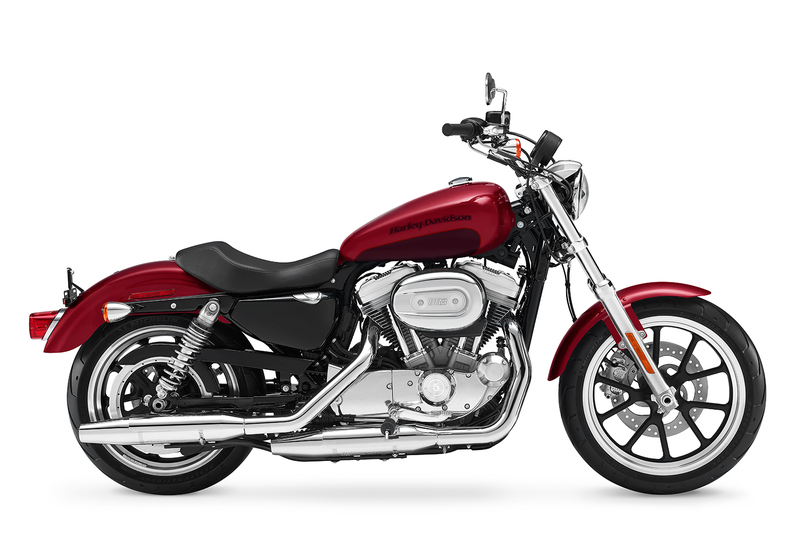 The customer (“Purchaser”) must purchase a new or used model year 2012 or newer Harley-Davidson Street or Sportster motorcycle available and in stock a participating U.S. H-D dealer ("Eligible Motorcycle") between February 21, 2018 and August 31, 2018 ("Sales Period"). 2. Purchaser who purchases an Eligible Motorcycle during the Sales Period has the option to trade-in the Eligible Motorcycle at its original purchase price towards the purchase of a new, unregistered, model year 2017, 2018 or 2019 Harley-Davidson Touring, Trike, Softail, Dyna, Sportster, Street, CVO or Special Edition/Shrine Big Twin motorcycle (“Eligible Trade-Up Motorcycle”). Offer is limited to one claim per eligible VIN. Excludes Police Models. 7. The offer only applies to Eligible Motorcycles submitted for trade-in on a new, unregistered Eligible Trade-Up Motorcycle of greater value and not the same model. Valid only at participating U.S. H-D dealerships. Offer not valid in Hawaii. Non-transferrable. Cannot be redeemed for cash or cash equivalent. Offer not valid on motorcycles purchased and/or delivered outside the Sales Period. Harley-Davidson and/or H-D dealer are not responsible for lost or stolen proof of purchase documentation. Offer is subject to change without notice. Void where prohibited. Have you decided to buy or sell a used Harley-Davidson® motorcycle and need to obtain financing to complete the sale? Harley-Davidson® Financial Services (HDFS) can help. Stay ahead of scheduled maintenance. Service at Predetermined Intervals Harley-Davidson® - recommended maintenance performed at every service interval, plus VIP services that meet your needs. Convenience Whether you're on the road or have relocated, maintenance can be performed at any participating H-D® dealership, nationwide. Pay No Deductibles and Lock In Today's Pricing No need to budget out-of-pocket expenses on service visits covered under this program. Enhance Resale Value Transferable to next owner, with complete documentation of all maintenance services performed. Maintenance as reliable as the name on your bike. *Subject to credit approval by Eaglemark Savings Bank. Not all applicants will qualify. Financing terms, conditions and limitations may apply. Tire & Wheel Protection covers costs associated with the repair or replacement of tires and wheels, plus labor and taxes. All motorcycle tires are covered both the original and any replacements for the duration of your coverage, with no maximum occurrences and no deductible. That means you pay nothing for repairs covered under the plan.This valuable protection will give you coverage from road hazards like potholes, or debris on the road surface like nails, rocks or tree limbs. H-D® Tire & Wheel Protection must be purchased at the time you purchase your motorcycle or at the time you purchase new tire(s) and/or wheel(s) from an authorized Harley-Davidson® dealership. Coverage can be included on your motorcycle loan. You even have a choice as to the length of coverage from years that best suits your needs. Coverage begins the same day you purchase the protection and continues for the duration of the purchased term. Protect your investment and your finances with H-D® Tire & Wheel Protection. Provides repair or replacement for original or replacement tires and wheels that fail due to contact with a road hazard. Coverage includes cost of mounting and balancing, inner tubes, valve stems, labor and taxes. No maximum number of occurrences. Nationwide H-D® repair location assistance. Coverage begins immediately with the purchase of this protection. * If due to failure of a covered wheel or tire. ** Subject to a $25 transfer fee. Talk with your us today about purchasing this valuable protection. Up To 7 Years Of Coverage. Coverage for over 1,100 parts - All repairs will be performed by experts at an H-D™ dealership. Expense reimbursement package - If you have a covered breakdown while on the road, you'll receive up to $74/day ($750 maximum) for a rental vehicle, up to $150/day ($450 maximum) for meals and lodging, and up to $200 for towing to an H-D™ dealership. Nationwide repair location assistance - In the event of a covered breakdown, our H-D™ Service Center can direct you to the nearest H-D™ dealership for repairs. Locked.in repair costs - All you pay is a $50 deductible per visit for covered repairs - no deductible for Expense Reimbursement Package benefits. Free contract transfer - Should you sell your motorcycle, you can transfer any remaining coverage to the next owner for free. This can easily increase resale value. Optional tire & wheel coverage - For an additional surcharge, this coverage will replace your tires and wheels if damaged by a road hazard. * Listed repairs costs are notional average besed on actual H-D™ Extended Service Plan claims from 2008 - 2009. Actual costs may vary. Realx, We've Got You Covered. You are about to make one of the most important investment of your - life and Harley-Davidson® is here to protect you and your purchase with the industry-leading Harley-Davidson® Extended Service Plan that covers your bike and so much more! use only Harley-Davidson® Genuine Motor Parts. Reimburse you for covered rental, towing and lodging expenses. Provide a toll-free phone number and national assistance to get you to an authorized H-D™ dealer. Allow you to transfer the coverage to the next owner. Ride Smart, Act Now, Don't Get Caught On The Road Without It! Be sure to get the H-D™ Extended Service Plan before it's to late. You must purchase the plan before your factory warranty expires. For used motorcycles, you must purchase the plan the same day you purchase your bike. You can include the plan on your Harley-Davidson® Financial Services loan at the time you purchase your bike, or even put it on your H-D™ Visa® card. To get the plan and its many benefits, talk to your H-D™ dealer today and you'll be riding worry-free in no time. Ask us about getting the Extended Service Plan for your new or used bike. s* See contract for details.